Ski all inclusive in Les 2 alpes : compare ! 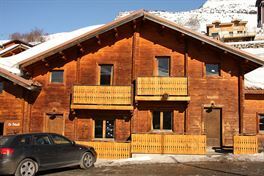 All inclusive skiing in the 2 Alpes, allows you to spend a skiing holiday all inclusive, in a resort that has developed a very pleasant ski area. At 3600 meters above sea level, you can enjoy the largest European glacier to enjoy winter sports. 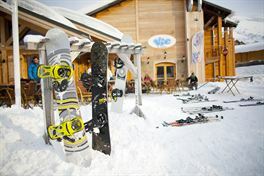 The resort offers numerous après-ski activities and offers hotel facilities. The ski resort Les 2 Alpes offers a young and dynamic atmosphere and a magnificent area for your winter sports. Go to the summits of the ski slopes of the 2 Alps thanks to the 51 lifts! Ski Express offers a large number of all-inclusive ski holidays in the 2 Alpes cheap but also all-inclusive ski rental in residence from partners, ski professionals. By comparing the offers packaged in this resort, you will be able to save considerably on your next snow holiday in the Northern Alps and thus skiing peace of mind with your family. Accommodation, lifts, skis and meals, you can pool services to alleviate the organization and the expenses on the spot in the resort of the two Alps. All the offers presented on Ski Express are available and include the handling fees for an ever more efficient and transparent comparison.